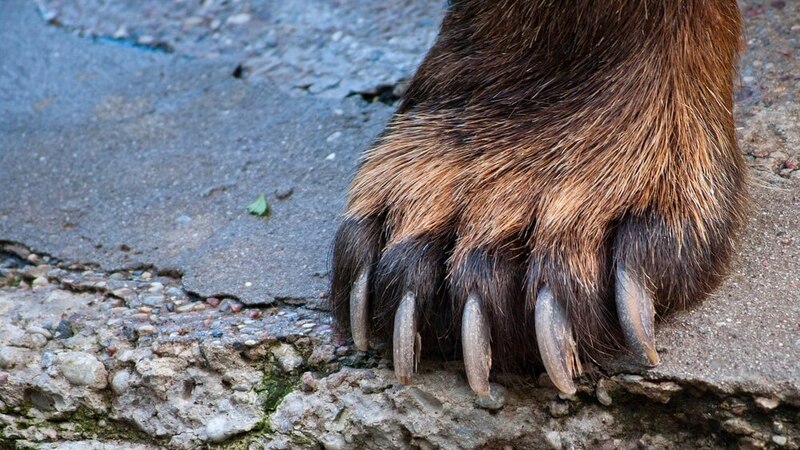 2018: Bull Pause or Bear Paws? A tumultuous December sent stocks careening 10%, punctuating a very disappointing year for investors. Unlike 2017, when virtually every asset class delivered above-average returns amid historically low stock market volatility1, 2018 turned out to be its mirror image. Within public markets, only cash delivered a significant positive return, outperforming a diversified portfolio of bonds and stocks for the first time in a decade. While particularly robust in the United States in 2018, the global economy may experience a sharp slowdown in 2019, undermined by the potential for two key mistakes by policymakers: 1) the Federal Reserve (Fed) getting ahead of itself in its desire to normalize monetary policy by raising interest rates and reducing its bloated balance sheet, and 2) continued uncertainty regarding any near-term resolution in an ongoing trade war with China. The former is exacerbated by confusion from both the Fed and the Treasury in communicating their intentions to markets. Volatility first erupted in October when Fed Chairman Jerome Powell seemed to indicate the Federal Reserve had a long way to go before slowing down interest rate hikes, a miscommunication it struggled to walk back in December when faced with political pressure to do so. To make matters worse, over the weekend before Christmas, Treasury Secretary Steven Mnuchin further rattled markets by seeking to assure investors the banking system was not experiencing liquidity issues, injecting a new anxiety markets were not particularly worried about in the first place. The continued heated rhetoric on trade between U.S. and Chinese officials only added fuel to the fire. As investor sentiment soured overnight and selling led to further selling over the holiday period, it became easy to forget how strong the economy continues to be. Although interest rate sensitive sectors, such as housing and automobiles, have weakened as interest rate increases take hold, consumer spending remains strong, businesses are beginning to benefit from the Tax Cuts and Jobs Act of 2017 with an increase in capital expenditures, and the labor market soldiers on without signs of wage inflation necessitating further Fed tightening. Yet, several telltale signs are beginning to emerge, suggesting capital markets are forecasting a period of slower growth in 2019. Corporate earnings estimates are ratcheting down after the boom they experienced in 2018, corporate credit spreads are widening from historical lows, commodity markets have corrected, and the yield curve (i.e., the difference between short- and long-term interest rates) has flattened further—though not yet to the point of inversion in key durations. Since the 1960s, no recession has occurred without short-term interest rates exceeding long-term interest rates for bonds twelve-to-eighteen months beforehand. Crucially, the inflation-adjusted (i.e., real) short-term interest rate recently moved up to 0% after a very long period in negative territory. Historically, recessions do not occur without real short-term interest rates moving closer to 2% or higher. These market messages led us to adopt a more cautious stance across our strategies in early December. This does not mean our discipline is telling us to expect a repeat of the last two major bear markets in 2000 and 2007; stocks today are not extremely expensive relative to bonds, as they were then. History is replete with examples of corrections within bull markets, which lack depth and duration, but during which it is optimal to reduce risk, including as recently as during late 2015 and early 2016. Similar instances of this phenomenon occurred in 1984 and 1994. Should circumstances change, calling for further reductions in risk like those we took to preserve capital during 2000 and 2007, we will act decisively. For now, however, the balance of evidence suggests 2018 was a year in which equity markets took a breather while the real economy continued to progress, allowing valuations to adjust and set the stage for another leg up in an underlying bull market as interest rates move higher. The counterpoint to 2018 serving as a “bull pause” rather than evidence of “bear paws” (and thus a repeat of 1984 and 1994), is that the latter occurred only a few years from the respective recessions of November 1982 and March 1991, whereas the current market is almost 10 years removed from the recession which ended in June 2009. As we have argued before, the recovery’s duration is less significant than its magnitude. Whether the U.S. economy can continue to inflate, albeit at a slower rate, to eclipse the longest-ever period of expansion will depend on authorities’ ability to avoid policy mistakes. The Fed and administration have an opportunity to alleviate such risks by recalibrating monetary and trade policy as the year begins. Many aspects of the U.S. economy remain healthy, and this cycle is on course to become the longest expansion in history over the summer months this year. The balance of evidence suggests we are not yet at the cusp of a deep and extended downturn in equity markets, because a recession is not imminent. However, should circumstances change, we stand ready to take further action. As our 2019 Capital Markets Forecast2 outlines, after a year during which the economy (as measured by GDP) handsomely outperformed financial markets, today’s starting point for investors is more favorable than it has been in some time, with better starting valuations for stock markets and higher interest rates for bond markets. History suggests the higher equity volatility of 2018 is more representative of the long-run experience of investing in stock markets and does not preclude further gains before this long bull market inevitably comes to an end. For the first nine years of this bull market, the value of an intelligently designed, diversified portfolio has been dominated by the prodigious and atypical returns earned by a “buy and hold” portfolio of U.S. stocks and bonds, as interest rates have been artificially low, liquidity has been abundant, and multiples have expanded far in advance of underlying fundamentals. With the economy finally catching up to the capital markets and the investment environment continuing to normalize, opportunities to grow portfolios through an actively managed portfolio mindful of risk will abound. To be released in February 2019. The views expressed represent the opinion of Balentine. The views are subject to change and are not intended as a forecast or guarantee of future results. This material is for informational purposes only. It does not constitute investment advice and is not intended as an endorsement of any specific investment. Stated information is derived from proprietary and nonproprietary sources that have not been independently verified for accuracy or completeness. While Balentine believes the information to be accurate and reliable, we do not claim or have responsibility for its completeness, accuracy, or reliability. Statements of future expectations, estimates, projections, and other forward-looking statements are based on available information and Balentine’s view as of the time of these statements. Accordingly, such statements are inherently speculative as they are based on assumptions that may involve known and unknown risks and uncertainties. Actual results, performance or events may differ materially from those expressed or implied in such statements. Investing in equity securities involves risks, including the potential loss of principal. While equities may offer the potential for greater long-term growth than most debt securities, they generally have higher volatility. International investments may involve risk of capital loss from unfavorable fluctuation in currency values, from differences in generally accepted accounting principles, or from economic or political instability in other nations. Past performance is not indicative of future results. Balentine utilizes proprietary models to evaluate economic trends. The Tier 1 model gives us parameters to determine how we should allocate our assets across our building blocks. The Tier 2 model guides us toward allocating within building blocks. Balentine uses a combination of several factors, of which models are only part, when determining its investment outlook. Balentine is not soliciting or recommending any action based on any information in this document.